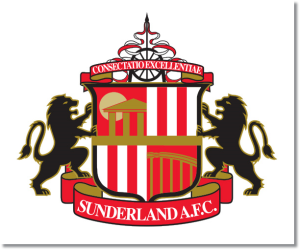 Premier League Preview for Sunderland v Tottenham along with Predictions for every result in the EPL. Follow up each match with results and video highlights posted later in the week. The week 15 Premier League Predictions have been posted, so go read up on my EPL picks for the weekend. Be sure to also check out the Premier League TV Schedule and 2013-14 Premier League Table. Sunderland gave Chelsea a bit of a midweek scare in their 4-3 loss at home. The three goals should be a positive sign for them to look to coming into the weekend, but defensively they continue to be poor having allowed 28 this season (tied for the most goals allowed with Norwich). They have been slightly better at home this season where they have gotten their only two wins against Newcastle United and Manchester City. Tottenham’s recent form took a dip in their back to back losses to Newcastle and Manchester City, but have mostly bounced back with an exciting 2-2 draw against Manchester United and a 2-1 away win over Fulham. My prediction is for a Tottenham win. While it’s possible that Sunderland could get a result, Tottenham have had a fairly solid defense this season. Sunderland’s three goals against Chelsea came on set pieces and Spurs have allowed only two set piece goals this season.